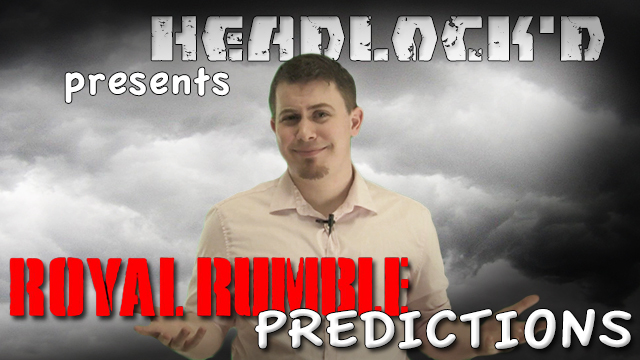 It’s the morning of Royal Rumble Sunday, which means it’s time for a Headlock’d Predictions episode. We’ll also be giving you a look at the Best and Worst Case Scenarios for tonight when Nick asks: “What’s the Worst That Could Happen?”, to go along with Andy’s thoughts on the show. And, because we love you, we will have an Official Juice Make Sugar drinking game ready before the show starts. All of this (for free!) before we drop our world famous Bang for Your Buck PPV review in your lap on Monday morning. It’s Headlock’d! The show that takes the everything you loved about the past week in the WWE and throw it over the top faster than Santino. In this episode, it’s the Clusterfunk of the year, and we take a look at who’s going “way over the top”…see what we did there?